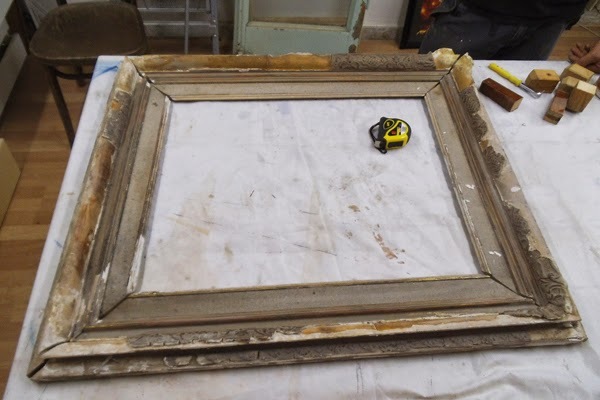 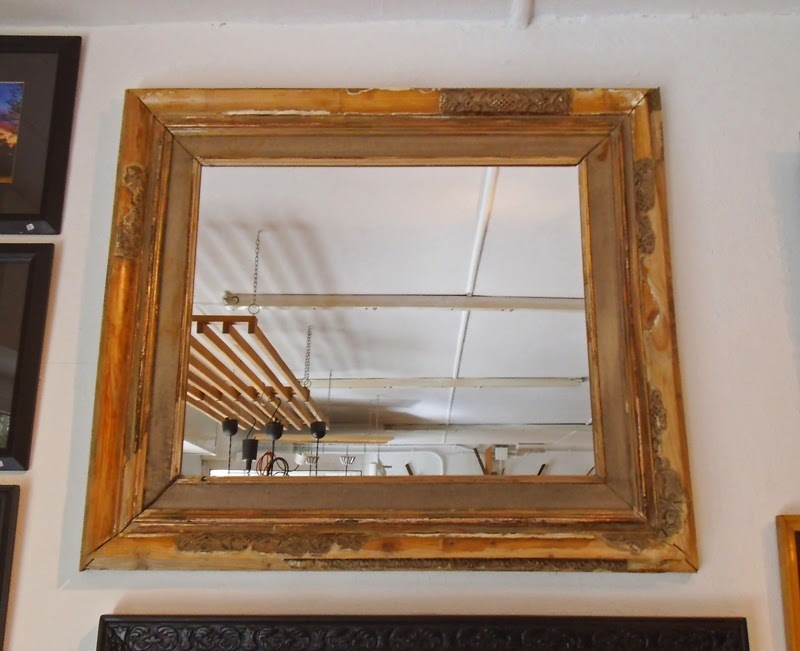 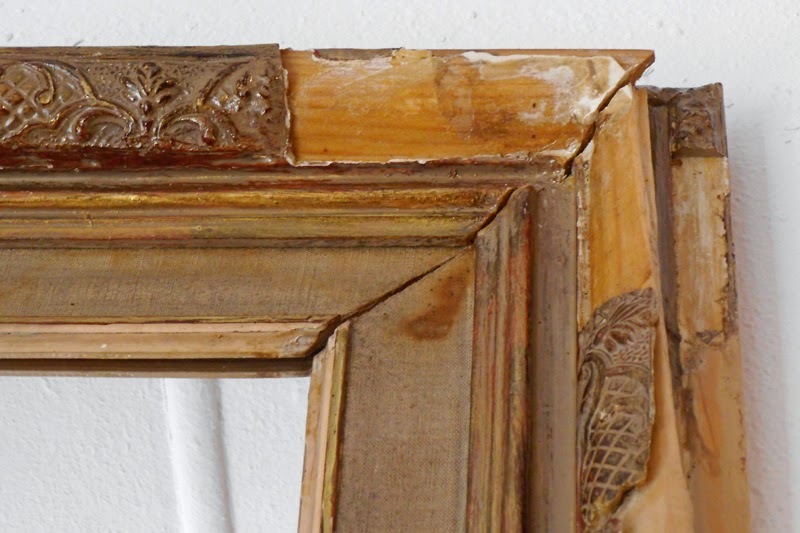 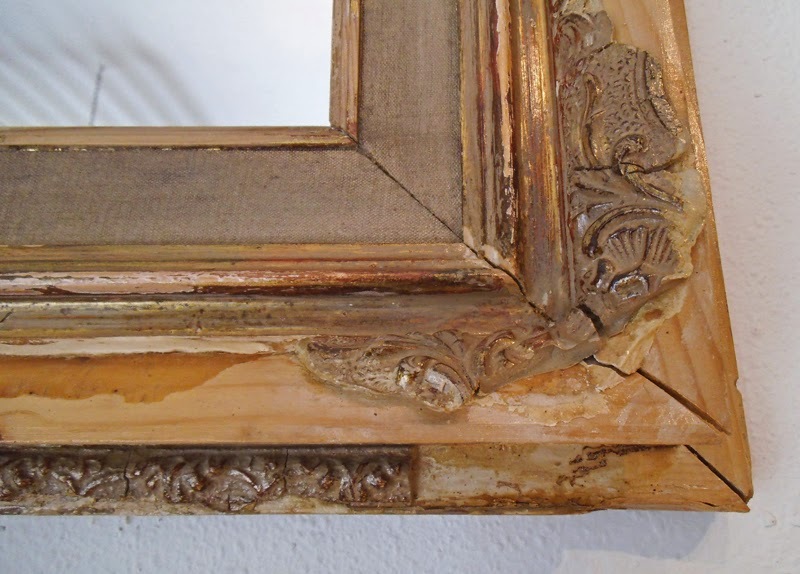 Maybe not for everyone's taste, but to me this once over-sized, over-flourished Neoclassic frame looks much more impressive now that is all weathered and distressed! 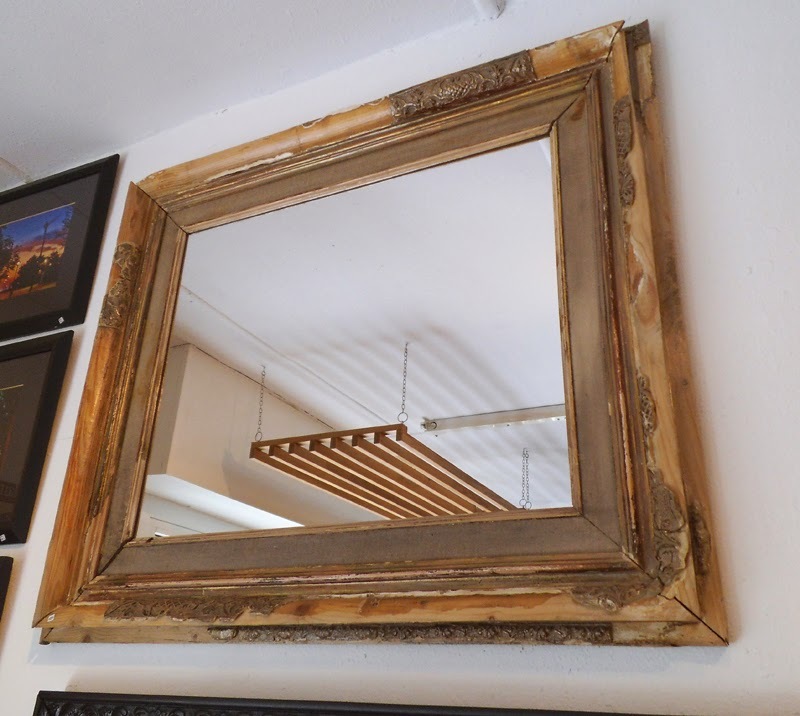 So, after a careful clean, slight restoration and sealing with several coats of clear varnish -plus the addition of a mirror- it makes a stunning statement piece that would go well in industrial, rustic or shabby-chic interiors. 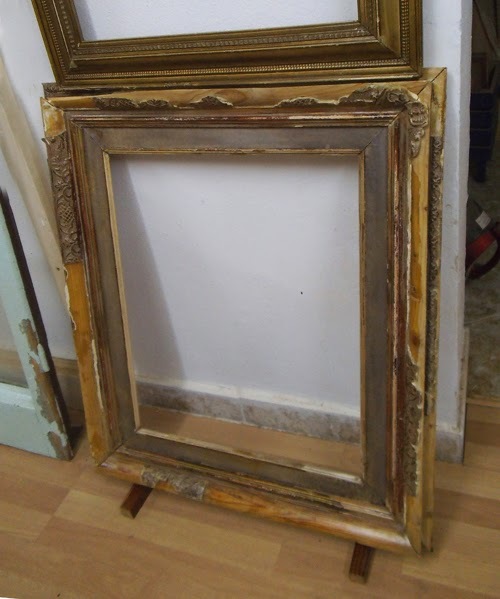 Measures: Frame 87 x 75 cm, Mirror 61 x 50 cm. 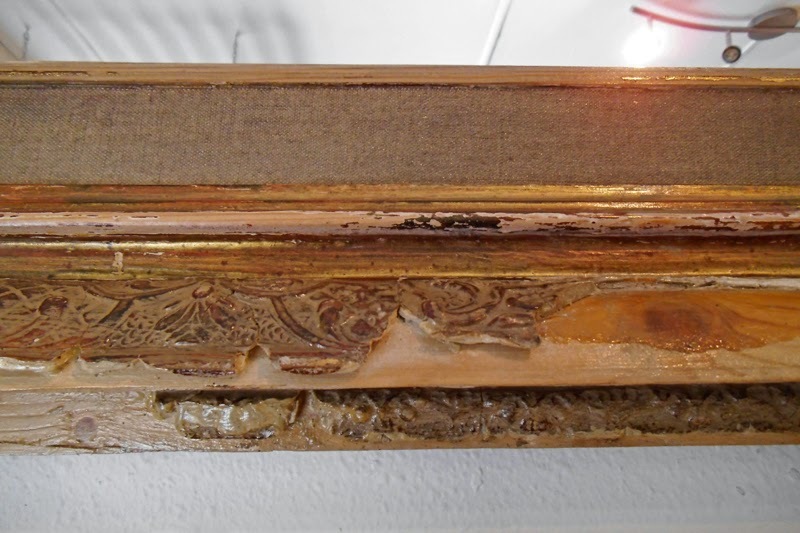 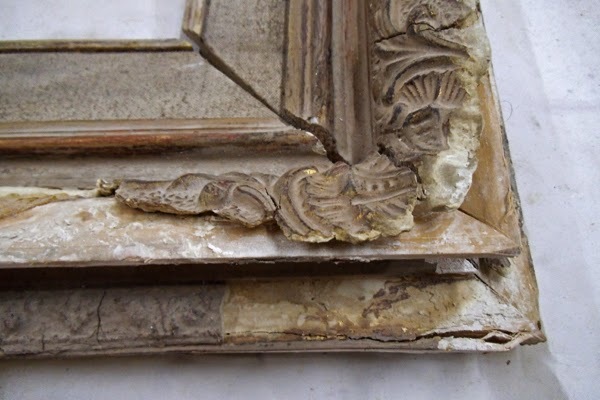 The picture frame, before restoration. 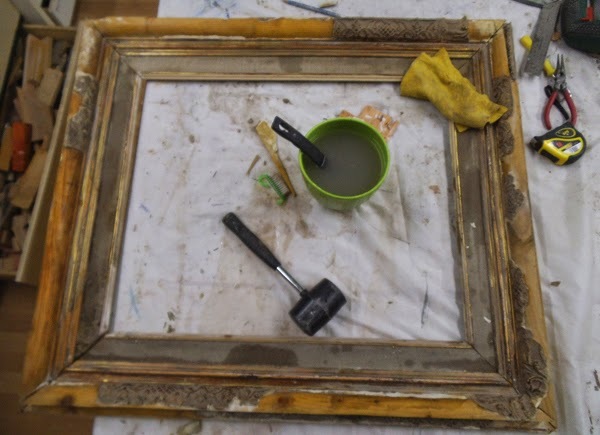 In the two pictures underneath: the cleaning process, and once varnished -ready to mount the big mirror!